The WHO Model List of Essential Medicines (EML), published by the World Health Organization (WHO), contains the medications considered to be most effective and safe to meet the most important needs in a health system. 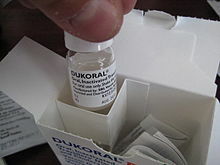 The list is frequently used by countries to help develop their own local lists of essential medicine. As of 2016, more than 155 countries have created national lists of essential medicines based on the World Health Organization’s model list. This includes countries in both the developed and developing world. A separate list for children up to 12 years of age, known as the WHO Model List of Essential Medicines for Children (EMLc), was created in 2007 and is in its 6th edition. It was created to make sure that the needs of children were systematically considered such as availability of proper formulations. Everything in the children’s list is also included in the main list. The list and notes are based on the 19th and 20th edition of the main list. An α indicates a medicine is only on the complementary list. ^ a b c “Essential medicines”. World Health Organization. Retrieved 19 January 2017. 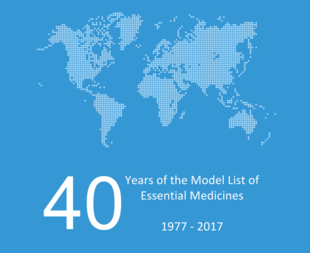 ^ “The WHO Essential Medicines List (EML): 30th anniversary”. World Health Organization. Retrieved 26 June 2016. ^ a b c d “19th WHO Model List of Essential Medicines” (PDF). who.int. World Health Organization. April 2015. p. Annex 1. Retrieved 17 January 2017. ^ a b Bansal, D; Purohit, VK (January 2013). “Accessibility and use of essential medicines in health care: Current progress and challenges in India”. Journal of Pharmacology & Pharmacotherapeutics. 4 (1): 13–18. doi:10.4103/0976-500X.107642. PMC 3643337. PMID 23662019. ^ “The Selection and Use of Essential Medicines – WHO Technical Report Series, No. 920: 5. Reviews of sections of the Model List: 5.2 Review of core versus complementary listing of medicines”. apps.who.int. 2003. Retrieved 6 March 2017. ^ Beall, Reed (2016). “Patents and the WHO Model List of Essential Medicines (18th Edition): Clarifying the Debate on IP and Access” (PDF). WIPO. Retrieved 3 May 2017. ^ Wirtz, VJ; Hogerzeil, HV; Gray, AL; Bigdeli, M; de Joncheere, CP; et al. (28 January 2017). “Essential medicines for universal health coverage”. The Lancet. 389 (10067): 403–476. doi:10.1016/S0140-6736(16)31599-9. PMID 27832874. ^ a b c “WHO Model Lists of Essential Medicines”. World Health Organization. Retrieved 17 January 2017. ^ Prakash, B; Nadig, P; Nayak, A (2016). “Rational Prescription for a Dermatologist”. Indian Journal of Dermatology. 61 (1): 32–38. doi:10.4103/0019-5154.174017. PMC 4763692. PMID 26955092. ^ a b “WHO Model List of Essential Medicines 20th List” (PDF). March 2017. Retrieved 8 June 2017. ^ “Essential Medicines List and WHO Model Formulary”. World Health Organization. Retrieved 5 May 2018. ^ “WHO Model List of Essential Medicines for Children 6th List” (PDF). who.int. World Health Organization. August 2017. Retrieved 11 April 2018. ^ Kalle, H (9 February 2017). “Essential Medicines for Children”. Clinical Pharmacology & Therapeutics. 101 (6): 718–720. doi:10.1002/cpt.661. 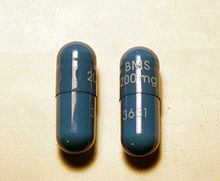 PMID 28182281.